Each of us have a degree of asymmetry in our gait. The degree of this asymmetry and the ability to control it determines function and potential for injury. Attempting to get everyone to function in a symmetrical pathway is all but impossible. So what are the available tools to measure patient gait and accurately diagnose injury? gait parameters: step length, step weight, vertical excursion and step rate. Software is playing an ever-increasing role in aiding the podiatrist’s decision-making process in clinic, introducing greater accuracy of diagnosis. This presentation reveals why more podiatrists are choosing digital resources, such as how 3D gait analysis software compares a patient’s gait cycle values against an uninjured database to equip the podiatrist in arriving at an effective treatment plan. Trevor Prior is a Consultant Podiatric Surgeon at Homerton University Hospital. 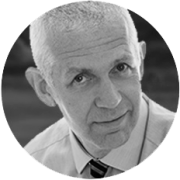 He works in private practice, is a Senior Clinical Lecturer at Queen Mary University of London and a Honorary Visiting Senior Clinical Fellow at the University of East London. His particular areas of interest are foot surgery, sports injuries, biomechanics / gait analysis, orthoses and diabetic foot complications. He is a director of P2L, providing bespoke performance footwear and Run3D, providing advanced 3D gait analysis. He is past Dean of the Faculty of Podiatric Surgery. He is the UK representative on the Vasyli Think Tank and the Vionic Innovation lab, and reviews for Gait & Posture, Clinical Biomechanics, The Foot, The Journal of Foot and Ankle Research, JAPMA, Nature and Physical Therapy in Sport.